Tulle Soutache Embroidery Gatsby is an exclusive soutache embroidery fabric. It is a lightweight tulle fabric which has been embroidered with an elegant floral design pattern with soutache thread throughout. This fabric has a border and scallops on both sides. 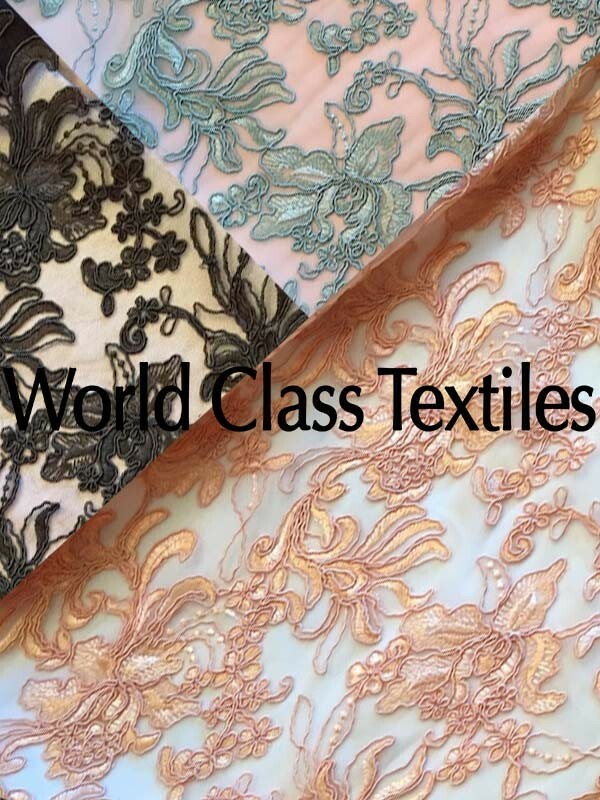 Our tulle embroidery fabrics are a favorite in the event planning and apparel industries. They are most commonly used as overlay tablecloths and other party decor. The apparel industry also uses these fabrics for veils, gowns, elegant evening and bridesmaids dresses and other apparel.